highly effective support for businesses. currently available to businesses on loans less than €250,000. process and applying for these loans. already covered by a guarantee.  borrowed a total of €920m using SBCI finance. loans for as little as €1,500 and as large as €4.3 million. The SMEs we have supported employ over 119,000 people. it is often overlooked that farmers are SMEs. and investment purposes, leasing, hire purchase, contract hire and invoice discounting.